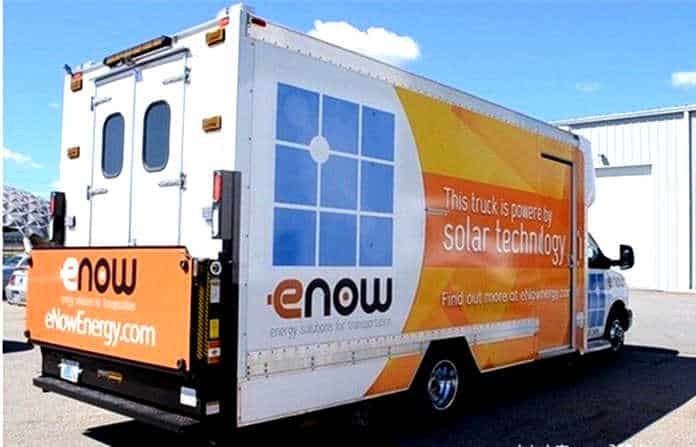 Recently the energy company eNow in the United States has received a subsidy of 400,000 US dollars for one of its solar refrigerated truck projects, from the environmental protection department in the San Joaquin Valley. It has been certified that this new kind of solar refrigerated truck can achieve the environmental requirement of zero emission. 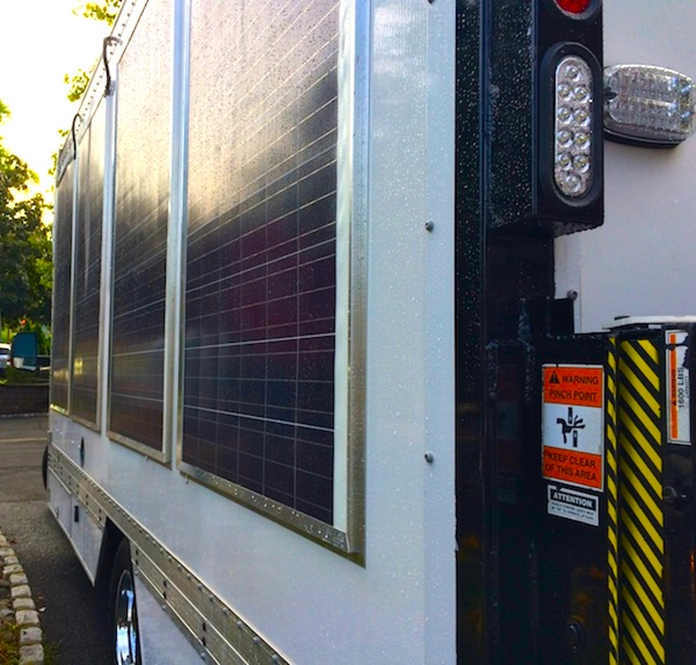 With the solar power system, this solar refrigerated truck is able to operate continuously for about 12 hours. When it is in operation, the compartment of the truck can keep a cool temperature for the transportation of food like vegetables, fruits and dairy products. 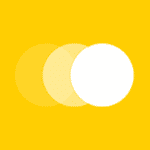 Actually, besides eNow, several companies have participated in this project. 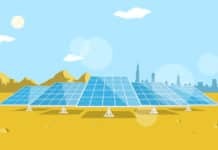 For eNow, it’s a professional company that provides renewable energy solutions. In this project, eNow is considered as the leader and is responsible for the development of the solar panels on the truck. Moreover, the Johnson Truck Bodies and the Challenge Dairy are also members of this project. The former is in charge of the debugging of the electric cold plate system; and the latter manage the running test in the later stage. So far this project is still ongoing and it’s said to receive a long-term road test in September. Why the Solar Refrigerated Truck can Receive Subsidies? The San Joaquin Valley is located in California, with agriculture well developed. It is known as “The Food Basket of the World”. Also the San Joaquin Valley is the largest producing area of wine in California, owning many vineyards total 61,000 hectares. This makes people in the San Joaquin Valley be very concerned about the air quality to some extent.